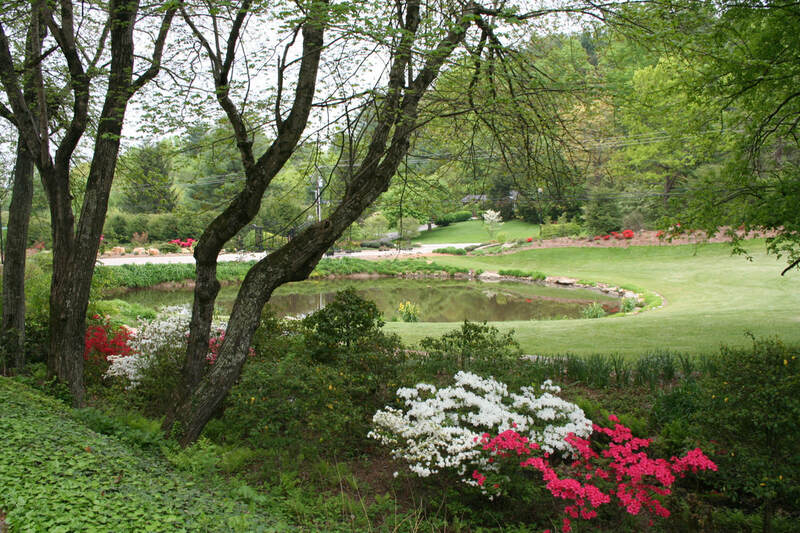 Come explore and discover South Asheville's best kept secret! Gates Open 6am to 10pm. 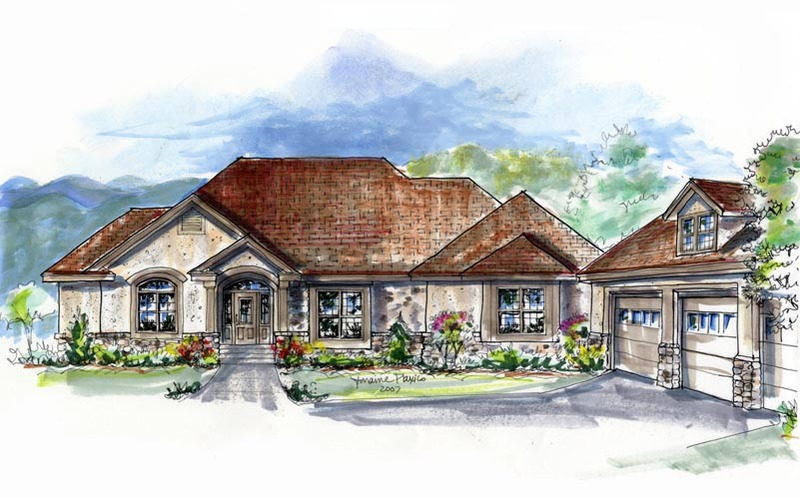 Limited Opportunities for Pre-Construction Pricing. 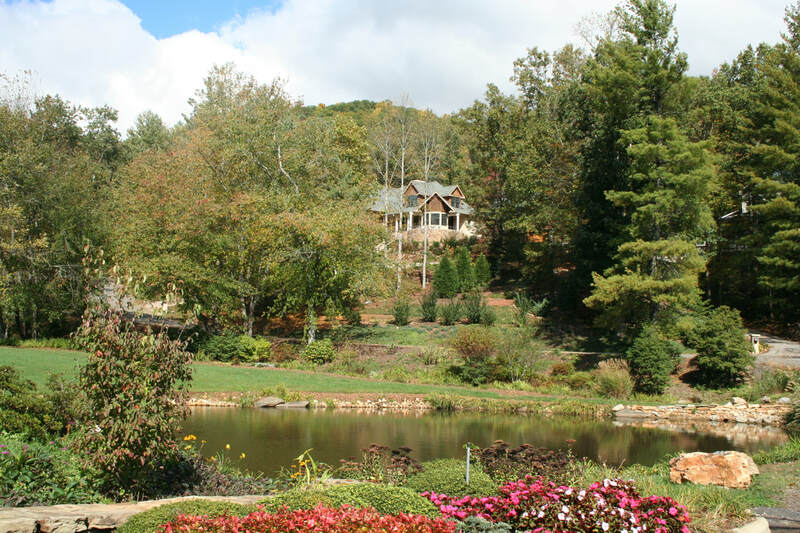 ​Keswick Hills, ideally located in South Asheville, North Carolina, offers spectacular luxury homes and large homesites in an eco-friendly, private gated community tucked away on 96 acres in the Blue Ridge Mountains. 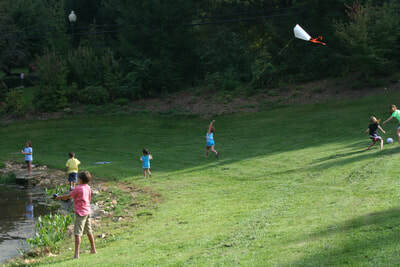 Enjoy peaceful mountain living and nature right out your front door at Keswick Hills. 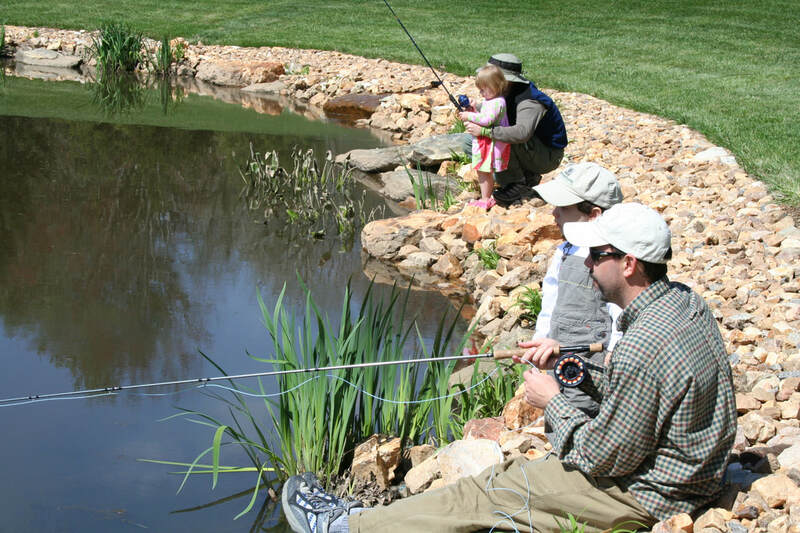 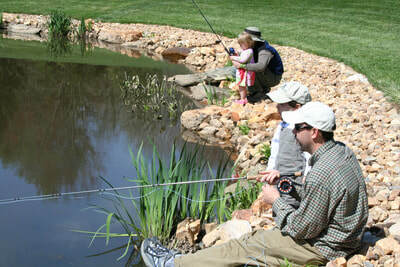 Fish in our stocked ponds, hike, bike, play, picnic, walk, read, or relax in our beautiful Greenspace and enjoy our mountain views. 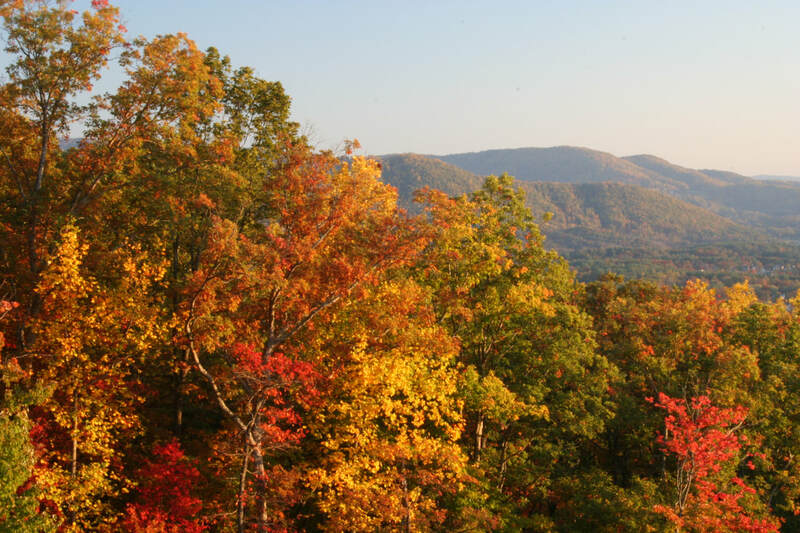 Keswick Hills’ location is unbeatable with everything only a few minutes away: Biltmore Park Town Square, shopping, dining, golf, fitness centers, the airport, premier hospitals, the Blue Ridge Parkway, and excellent schools. 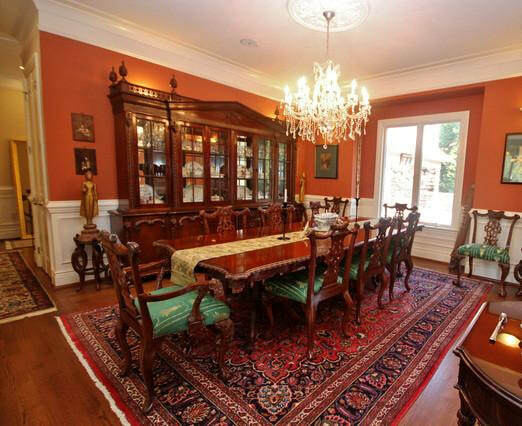 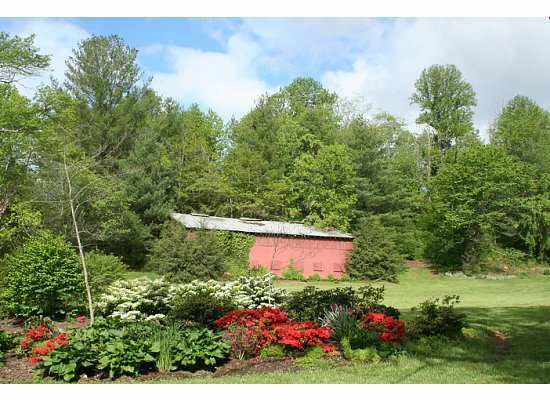 Only 9 miles from Downtown Asheville! Stay onsite in Keswick Hills' Guest Suite through our Discovery Package. 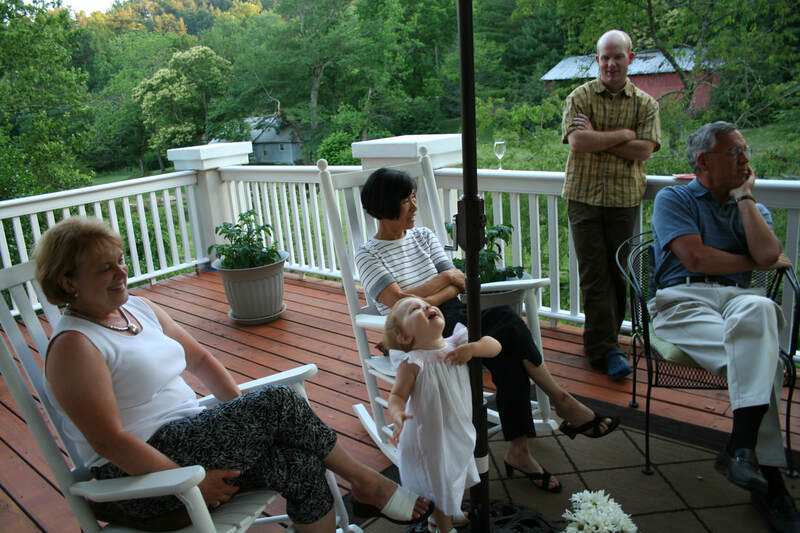 ​We cordially invite you to explore Keswick Hills and the Asheville area. 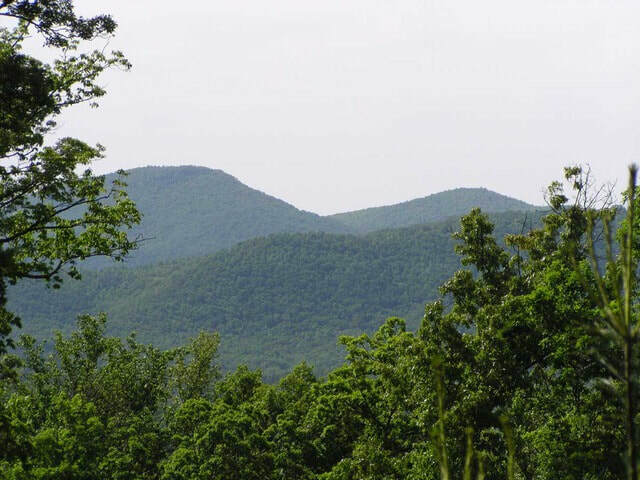 Keswick Hills’ fantastic location benefits from its close proximity to town, a peaceful mountain setting, and Asheville’s most desirable 28803 zip code. 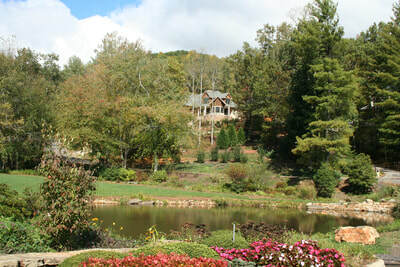 Build your custom dream home at Keswick Hills with reputable Asheville Green Builders. ​Learn more about Asheville Green Homebuilding here. *Site Map is the artist's conceptual rendering and should not be relied upon for accuracy. 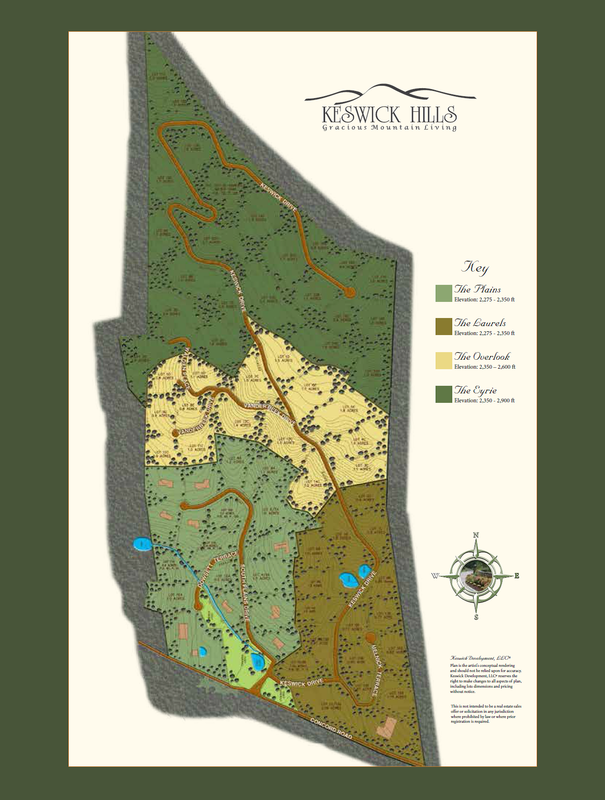 Keswick Development, LLC reserves the right to make changes to all aspects of plan, including lot dimensions and pricing without notice.